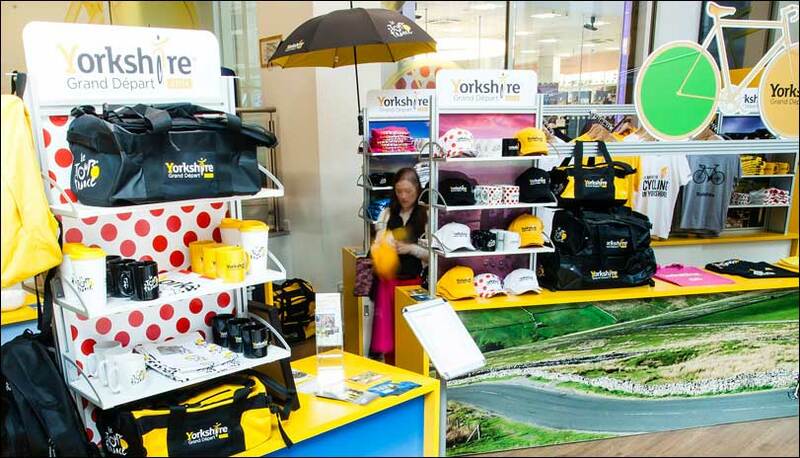 Hosting the first two stages of the Tour de France was a great honour for Yorkshire and a mark of success for the organisation that champions tourism in the UK’s largest county. 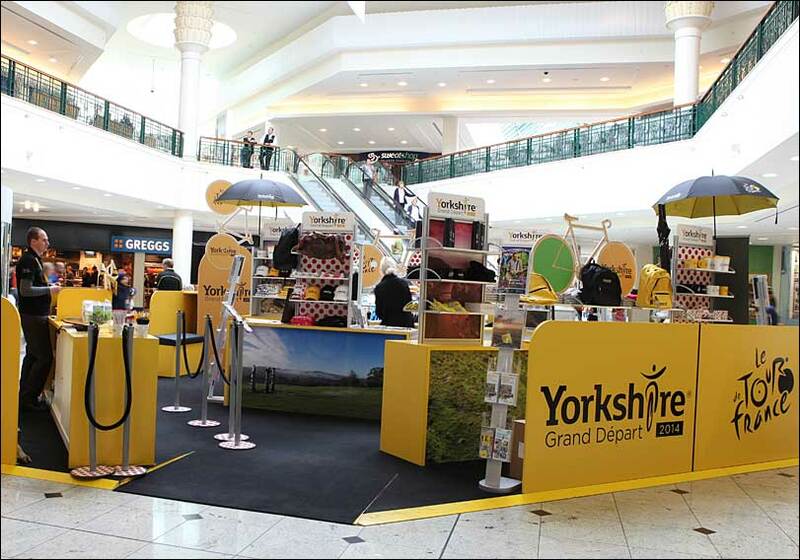 Welcome to Yorkshire were instrumental in bringing the event to one of the most scenic areas in the world and they wanted to partner with a company that could successfully reflect it within retail environments. Merit was chosen to design and fit-out retail spaces in two of the main shopping centres in the region. 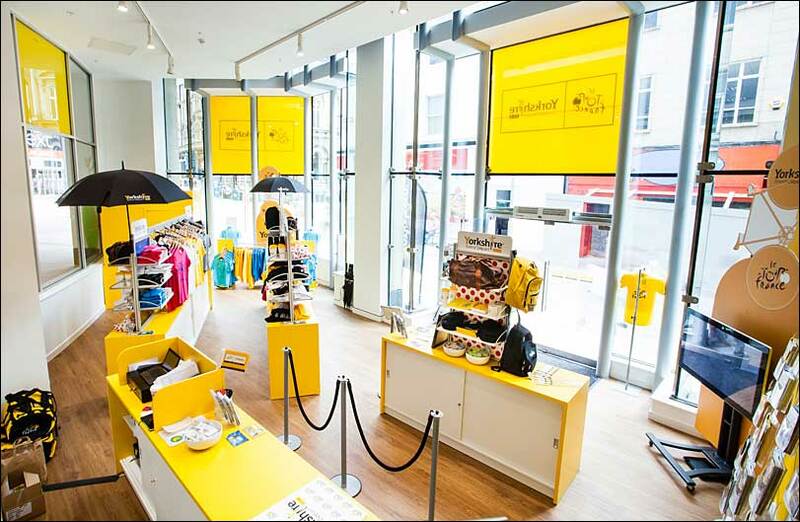 We used our retail display strategy knowledge and floor-space mapping to create a retail experience that fully represented the Tour de France theme, delivered an immersive experience and displayed the promotional products. 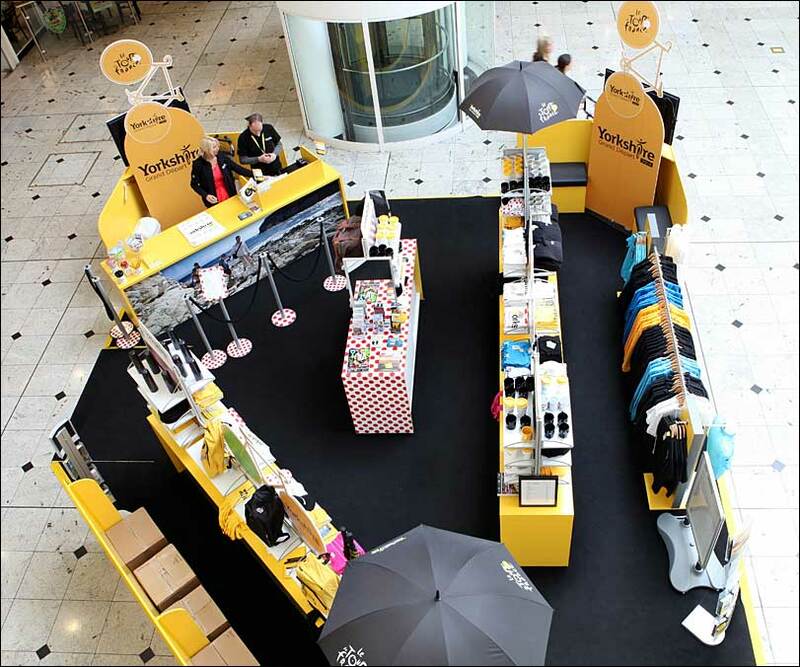 The environment was designed to put the promotional products into a “Tour de France” atmosphere, while making strong usage of corporate identity. As well as the event itself, the result helped put Welcome to Yorkshire across the winning line.